Natalia McKie participates at Adam Smith conference "Private investor: Russia and CIS"
PHS's Founder and Managing Director Natalia McKie participates and gives a speech about RESIDENCE MANAGEMENT and PROPERTY CONCIERGE at Adam Smith conference "Private investor: Russia and CIS" in Canary Wharf, London. 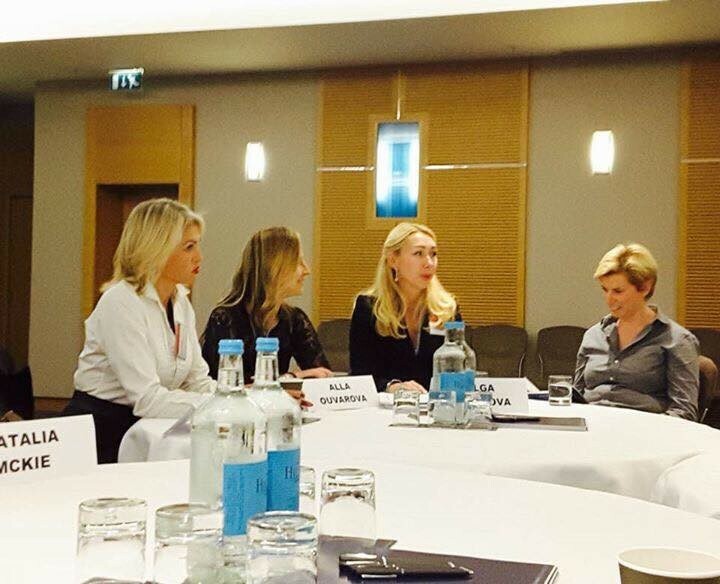 This time Russian Business Ladies had set at the round table "Successful Russian Women- entrepreneurs in London" in Canary Wharf Conference. Taissia Chinina kindly invited Natalia McKie, PHS's Founder and Managing Director to participate and have a speech at Adam Smith conference "Private investor: Russia and CIS" in Canary Wharf, London. As a result, PHS is looking forward to offer their Residency Management and Property Concierge services in Switzerland and Cyprus. PHS is grateful to Olga Vysokova for her enthusiasm and positive attitude! It is always a pleasure to participate in our business meetings. PHS Wishing you all a successful year ahead, dear Ladies!